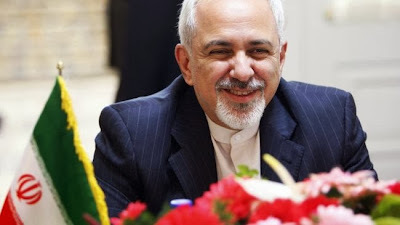 Iranian Foreign Minister Javad Zarif has told Al Jazeera's Talk To Al Jazeera that there were no secret talks with the United States that led to the Geneva agreement. Zarif also accused Israel of using their opposition to the Geneva agreements between Iran and P5+1 talks as a “smoke screen” to divert attention from Palestine. If the Iranian regime acts properly, there is every possibility of improved relations with the west, and who knows, in 20 years Iran's relations with the west might return to what they were under the Shah, and bring the related economic success that comes from such a position (such as a 7 tomans per dollar exchange rate). The reason why it will likely never happen, though, is that for such improved relations, Iranians would have to realize that they wasted many decades with a disgusting terrorist regime of ignorant mafioso thieves, e.g. Khamenei and his family, and those mafioso thieves would never ever allow Iranians to come to this conclusion. Who ever lies and spreads hate and uses all tricks in the books to win is worse than a devil!. He is blind that who can not see yet miserable is the one who blinds his intelligence with hate!!. @-Turning to terrorism ,i would first attempt to show you how cruel and inhuman terrorists are!,i would go further to show you graphic images of many victims of terrorism.Yet in the end i would turn to you for a question ,who arms these terrorists?.I mean where do AL Qaeda get their tools from? to be more clear to you i mean why don't the global media tell the world the country of origin for the suicide vests used by terrorists WHEN THEY STRIKE ! they are manufactured in the West YET they wont say IT lest people know who the real terrorists are!. But because you are a frustrated looser ,listening to you is good than the opposite!. I agree with your statement. But the truth of the matter is that. as you said, the Iranian regime doesn't want to befriend the West, because the rulers came into power with an anti-western agenda. In 1979 Khomeini officially made an unchangeable decree, that the Iranian nation and its people will from now on be the lead enemy of America and England. The current Supreme Leader cannot make a decision to reverse it, even if he desired. The only reason for coming to the bargaining table is that the establishment and the Iranian population is now feeling the heat of the sanctions. Thus they merely want to do that which is minimally required of them and hope for some easing of the sanctions, preferably the reintroduction into the world banking system and the lifting of the oil embargo. They don't care particurarly for all the other sanctions, as the country was prospering even up until the summer of 2012 (that was when the heaviest sanctions were applied). In my opinion, Salehi (who took part in the secret meetings) is a better diplomat. He's certainly more intelligent and I dare say, courageous. Its funny how anti-American forces do not realize that they will lose this fight; America has created a real world - real technology; anti-American forces have only created a moral fart in their own brain - with no real customer outside their imagination: hence the terrorist tendencies of anti-American forces; now you guess which one will win: real technology vs moral fart (ha ha ha) .. .
Is that instead of the "moral" use of illegal wars of aggression and bombing by drone, against civilians around the world? Anonymous December 3, 2013 at 10:50 AM, you mean the UK, not England which is only one part of it. I agree.Khomeini was the one who introduced hatred and everything that is ugly and vile into our country. More doublespeak from the warmongerers and hasbara shills commenting here.